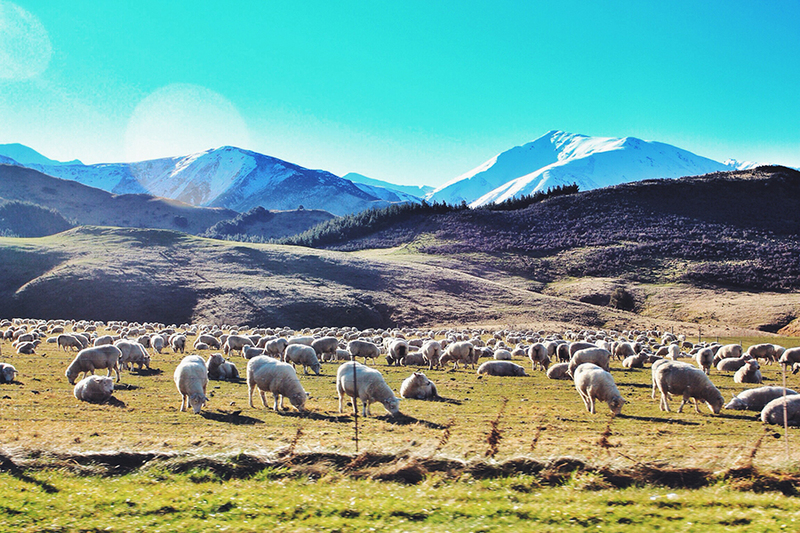 New Zealand reminds me of Harvest Moon game, where you can see many of sheep and cows more than you see people. Every miles along the road was a perfect picture that you can’t take your eyes off it. Ice mountains, green meadows, translucent rivers, you name it.. what else can you imagine of a breath-taking nature? I started my journey from the north, driving down to the south in 2 weeks during winter. The first trip was “The Hobbiton” (of course), the legendary movie setting of Shire, from The Lord of The Rings. During this trip, you’ll understand why Peter Jackson is a brilliant, and I give standing applause to his dedication and his work. The setting was so real, and green, and film-like. You can have some Ginger Beer after the tour at The Green Dragon Inn, a public inn decorated as if a hobbit’s place. Don’t forget to have adventure! I tried Waitomo caving, it has beautiful completely dark cave illuminated with many glow worms (check the photo on google, since tourist is forbidden to bring camera down there 😦 so i didn’t get a shot). We went down to the cave by 100meters rappelling, the longest commercial cave rappelling in the world! The nature and the caving and rappelling experience was exceptional, you better try. Since it was winter, I went snow-boarding on Ruapehu Mountain, where you can see a beautiful volcano view while you were sliding. It was considered, that going for ski/snowboard in New Zealand was so cheap comparing to other countries. One of the most important to see in New Zealand is a Te Puia geyser, in Rotorua. Well, there’s nothing much you can do here, but you can see a giant burst from one of the biggest geyser in the world.